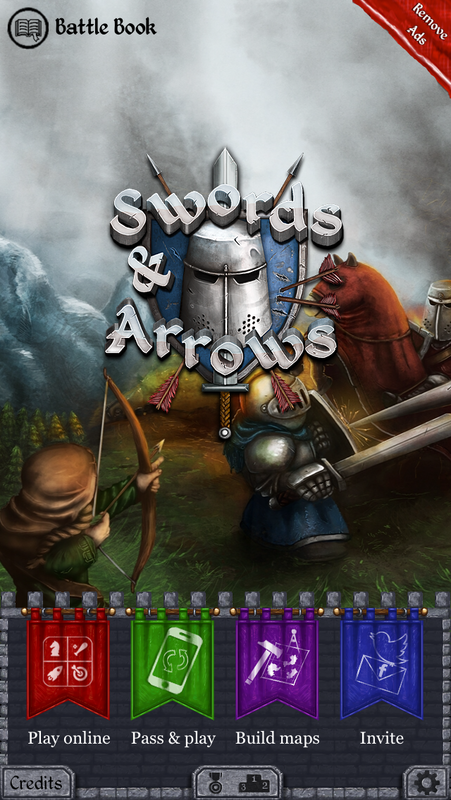 Swords and Arrows has been available since July 8, 2013 and is due for a substantial update sometime in Q2/Q3 2014. Update will include insertion of sea units as well as updated graphical themes. This map is extremely imbalanced in favor of player 1. Can’t wait for naval gameplay. On the surface, this game is easy to learn and simple to pick up and play. However, there are some strategies I’ve picked up that would be important to remember. 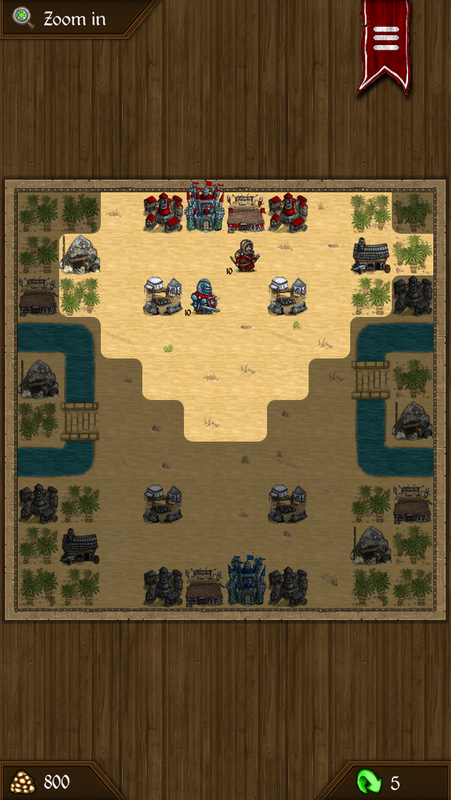 -Barracks can be crucial – In some TBS games, resource gathering is paramount to such a degree that any strategy other than controlling said resources right from the start would be tantamount to imbecility. This is not as much the case in S&A. In S&A, troop deployment can be the #1 challenge players face. Sure, if you have 3000 pieces of gold, you can buy any unit you want several times over. But, if the only place you can buy is back at your base, you’ll quickly lose the positioning battle and consequently the game. With only a barracks and the castle, I’d better get a swordsman down to that barracks asap. Also, each barracks can only deploy one unit per round, so controlling multiple barracks allows one to deploy as many units as he can afford. Thus, a commander with 1000 gold and 4 barracks is in far better position than a commander with 2000 gold and only 2 barracks. So, one of the most important strategies to employ is barracks control. Those towns and mines are tantalizing, but having all the money on the map will do you no good if you have nowhere to spend it. Get barracks and win the day. -Attacks are 1 action point, but sometimes they’re 0.5 action points – this is a weird fact, but it’s important to remember. 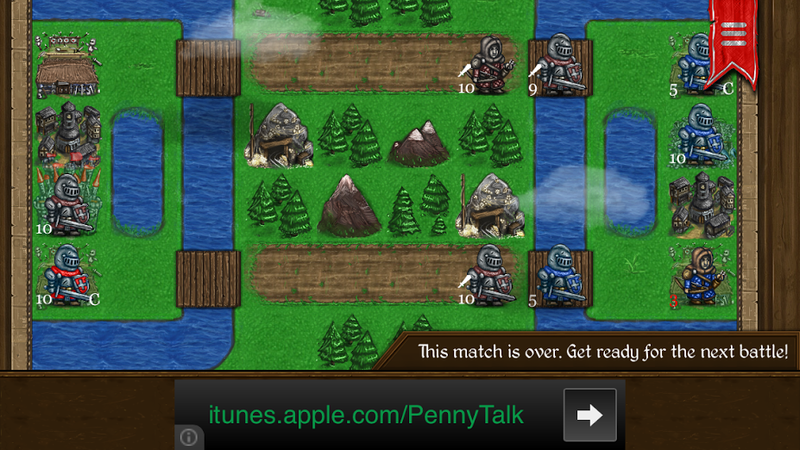 At the beginning of each game, swordsmen and archers all have 2 total action points available. Action points can be spent on moving or attacking. Movement has two costs: 1 point for any terrain other than roads, 0.5 point for roads. In many TBS games, movement is restricted to taking place prior to attacking only. Not so here. In S&S, players have the freedom to attack then move or move then attack. Which order you choose can have a profound effect on the utility of a given unit. Let’s say you’re at the very outset of a game. Your archers don’t have longbows, and they only have the standard number of actions (2), but you want to attack a unit 5 tiles away. Impossible, right? 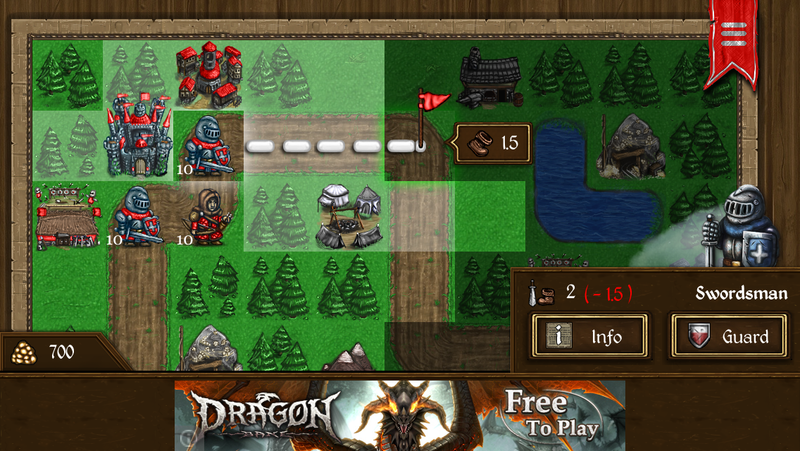 After all, basic archers only fire three tiles away, and they can only expend 2 point per round. So that means spending 1 point to move one tile closer still leaves you one tile short of the target. And all other terrain costs 1 step. Above, the swordsman is going 3 tiles because of these amazing facts. Good news – if there is a road between you and your target, and if you direct your archer on the road instead of across a field, you might end up coming into range of the enemy with only 1.5 action points. At that point, the game still permits an attack even though attacks normally cost 1 full action point. So, make sure you’re paying attention to terrain, as movement paths can mean the difference between epic victory and ignominious defeat. -Don’t neglect Swordsmen – S&A is not about winning an arms race. It is about map control and troop deployment. ANY troop deployment. Early on, I thought swordsmen were a waste of money. After all, why buy swordsmen when I can get archers, right? Of course, you need Swordsmen to capture, but beyond that, why spend money on Swordsmen? They’re slow, and they can be easily picked off by enemy archers. Well, in a game in which troop deployment is key and research must take place, sometimes one must forego expensive units in the name of researching new tech. But that doesn’t mean one should forego building units. In many cases, it is a good idea to simply build something even if it’s just a measly little swordsman. 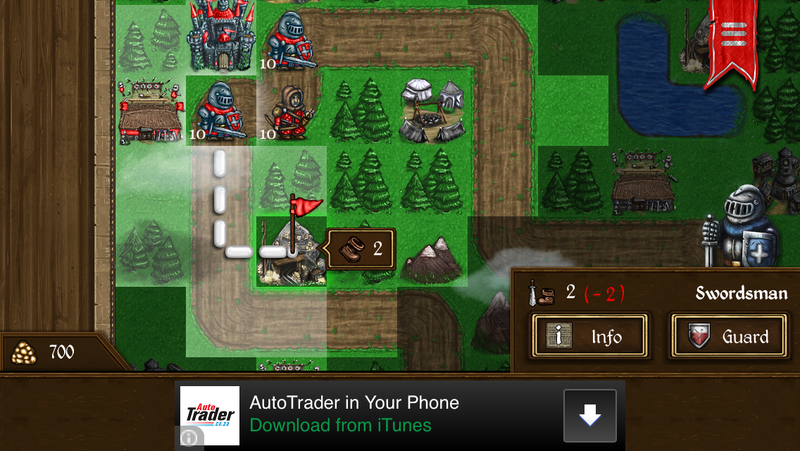 Smartly deployed, a flood of swordsmen can withstand a healthy retinue of archers. 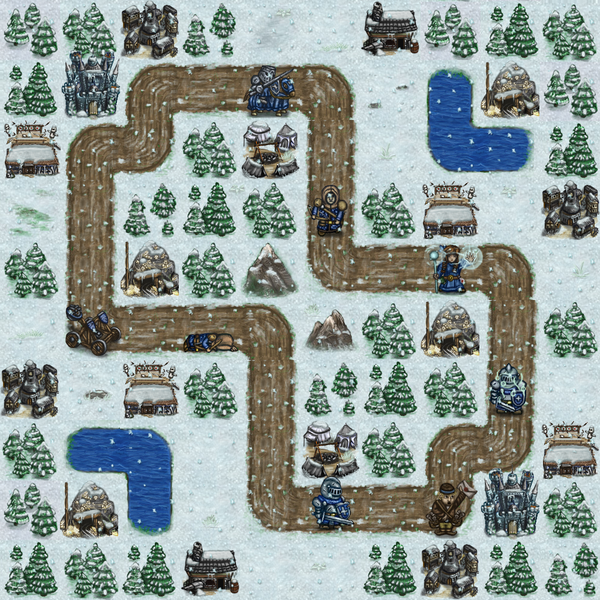 Can’t wait for winter gameplay! So what does a smartly deployed Swordsman look like? Well, the key to wise use of Swordsmen is the Guard ability. If you move a Swordsman forward and he has at least 0.5 action points left, you are given the option to set him to Guard. By guarding, Swordsmen are granted a +2 defensive stance which can tremendously reduce the amount of damage sustained. Thus, a good commander will seek to use Swordsmen cautiously, moving forward one step at a time (or two with Battle March), making sure to leave at least 0.5 or 1 step available for Guarding when enemy attacks are imminent. By using the Guard ability, players basically deploy a stout meat shield into the field of battle which can simultaneously threaten to take over enemy buildings. Therefore, don’t neglect swordsmen. 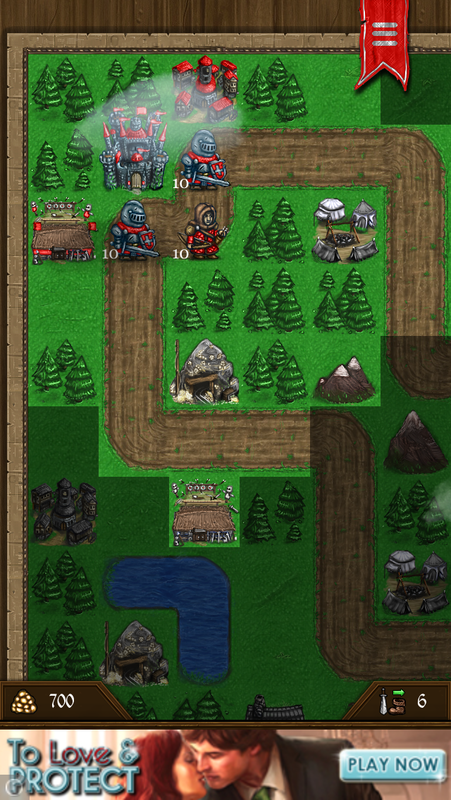 Leave units on forest tiles for extra defense. Also, Auto Trader South Africa! How convenient – I was just looking for a reputable auto dealer in the south of the continent of Africa!! -A Healer goes a long way – Invariably, in the course of battle, your troops will sustain fire and need healing. Unlike most TBS games, units don’t heal simply by standing on just any friendly bases (unless you’ve researched Infirmaries). 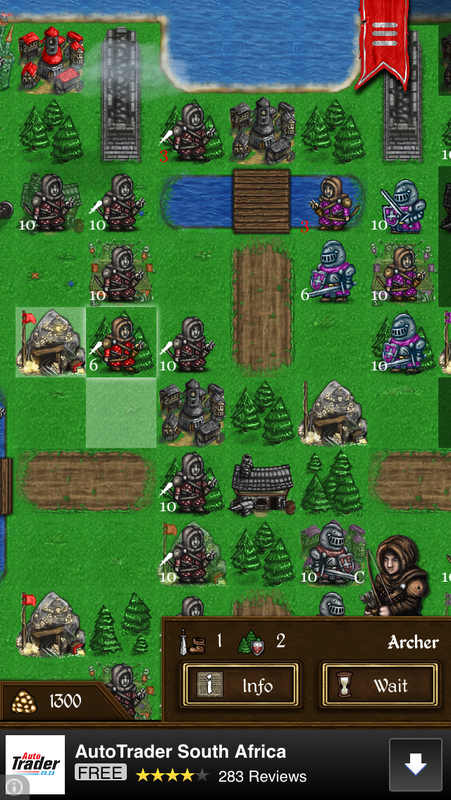 Rather, units can only regain health by standing upon a friendly Camp. Since Camps require swordsmen to capture, and since you’ll probably be sending your swordsmen to capture barracks and mines/towns instead, enter the Healer. At 500 gold, the Healer is a very pricey unit. But, she is able to heal one unit for 3-5 HP every turn. And, if you have researched Miracles, a Perfect Hit from a Healer will result in a unit regaining FULL health. This is incredibly important, because if a unit drops to 3 HP or less, that unit will have dramatically reduced damage output. So, even if a Healer does minimal healing, it still brings the target up to max damage output. This can make a HUGE difference. One note of caution – Healers are expensive and weak, so protect them. They are by no means offensive units and should be kept well behind friendly lines. -Research wisely – Research is the coolest thing about S&A and the thing most mis-utilized. Most of my S&A matches are not won by simply overwhelming opponents with an onslaught of units but by researching key techs. I say “key” techs because, if you want to have victory, you must know how that victory will take shape lest you lose because of haphazard research. I have personally found that research strategy involves three big considerations: gaining key abilities early in games, gaining eight abilities, and wisely choosing the right master technology. Here’s how I make my decisions. Let’s say I’m playing in a match where I plan to deploy a ton of Swordsmen. In that case, I know I’m definitely going to go for the following three techs: Scouting, Blade Master, and Battle March. I’ll also go for Sharp Shooter and Longbows b/c strong Archers are a must no matter what, and I’ll probably finish out the eight necessary techs with Fortifications, Infirmaries and Currency. I’m not sure in what order I’ll do all that research, but I know that’s roughly what I’ll need for victory. Then, once I’ve reached eight, I’ll probably cue up the Call to Arms Master Tech. Your research will often look pretty similar to what I’ve noted above regardless of your strategy, but the point is, have a plan, and research accordingly. I could go into other research strategies and ideas, but that is another conversation for another time. Overall, Swords and Arrows is a really fun game. The cost (free) and simplicity make it very easy to get into. The research component makes it really unique among its TBS brethren, and the artwork is very attractive. With several updates on the way, it’ll only get better. Check it out!